Veteran’s Day is a federal holiday that honors our great nation’s military men and women of the past, present, and future. November 11th is Veteran’s Day and this date was chosen because on November 11, 1918, the armistice to end World War I was signed. Soldiers are honored with medals and pins during wartime. 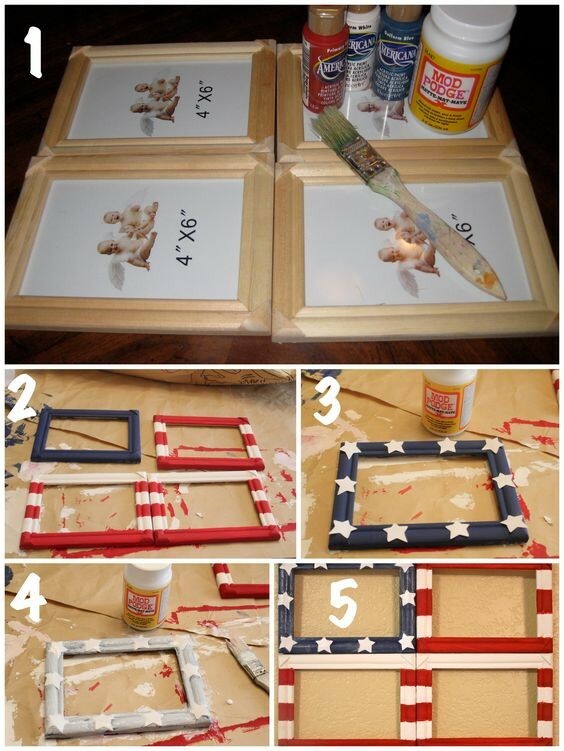 But even after the war is over, you can still honor them with these great DIY activities of all ages. Many honor the lives of military vets who have passed by placing stones on their Tombstones. This is a great way to get your friends and family involved in creating a great memorial piece for Veteran’s Day. 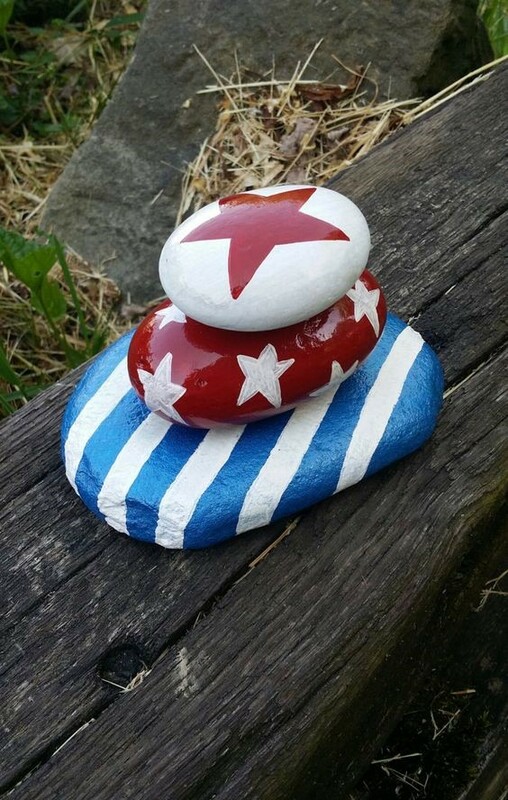 These stones can also be used as decorative pieces for your home and garden. What to do with that old dresser collecting dust in the garage? Besides a multitude of options you can find all over the web, flowerbeds have become the go to craft for many hollowed items. 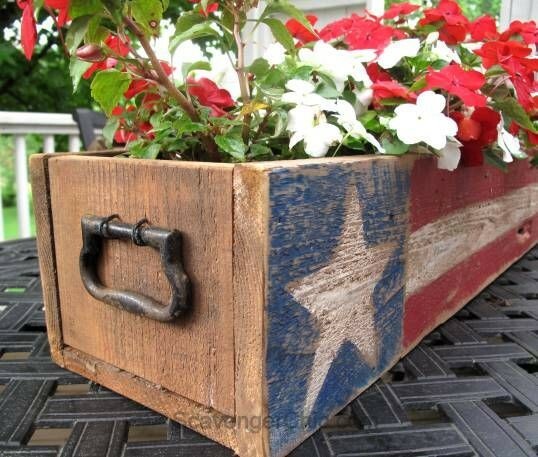 Using a stencil or some clean lines, you can take red, white, and blue paint to create a patriotic flower bed for flowers that can be placed on your porch, in a memorial garden, or at your loved one’s tomb. Painting a tin can with Red and White stripes and using the almighty mod podge to seal a printable of stars is a surefire way to keep the rustic feel of the tin cans while modernizing their use. 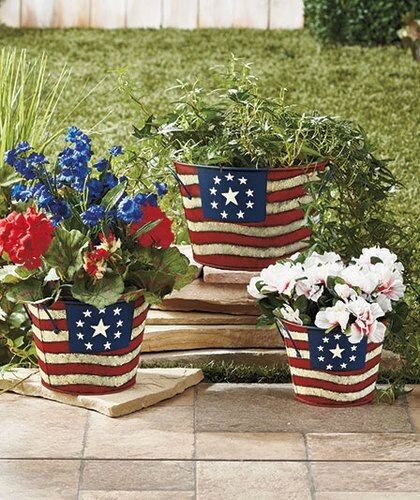 These beautiful flower pots can be used as outdoor décor or a unique grave decoration this Veteran’s Day. There is nothing more solemn than the soft glow of candles. 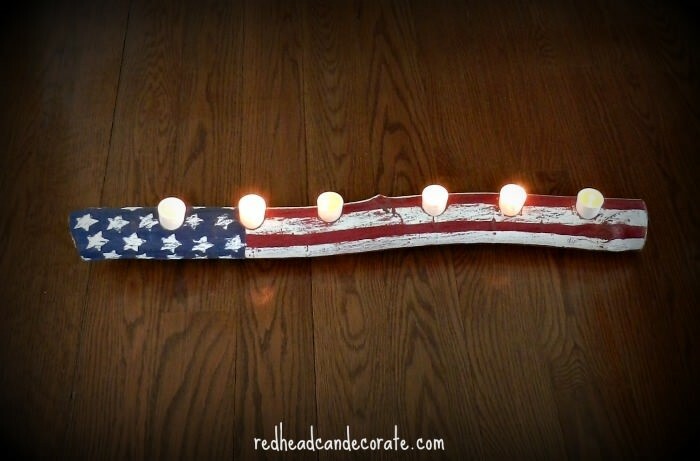 Using an old log, a 1 ¼ inch drill bit, paint, and a stencil can create a striking decorative item for your home, garden, or loved one’s gravesite. You could use LED lights or glass votive candles to be on the safe side or even photo clips to change the look up a bit. Either way this will be my next project to work on! 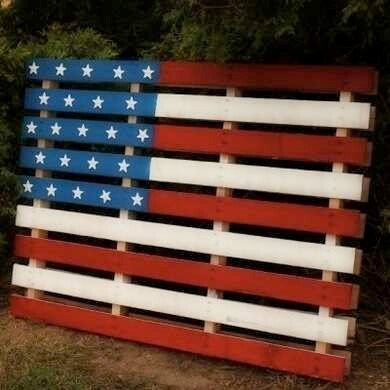 The wooden pallet is a crafters blank canvas and the patriotic display is one of the most touching transformations I have seen. Imagine this on your porch behind a timeless porch swing. If that isn’t a nod to our heroes, I don’t what is. 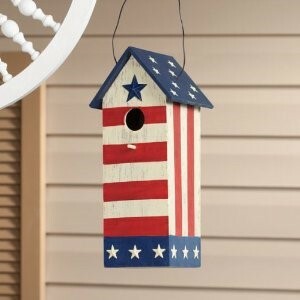 Wooden birdhouses can be found anywhere from a local resale shop to your neighborhood craft store so why not decorate one with our Vets in mind. 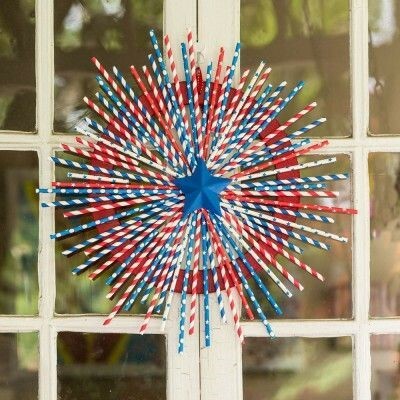 A little red, white, and blue paint, some stencils and a few brushes will keep your children engaged and mindful of this great holiday. Another great activity for children and adults. 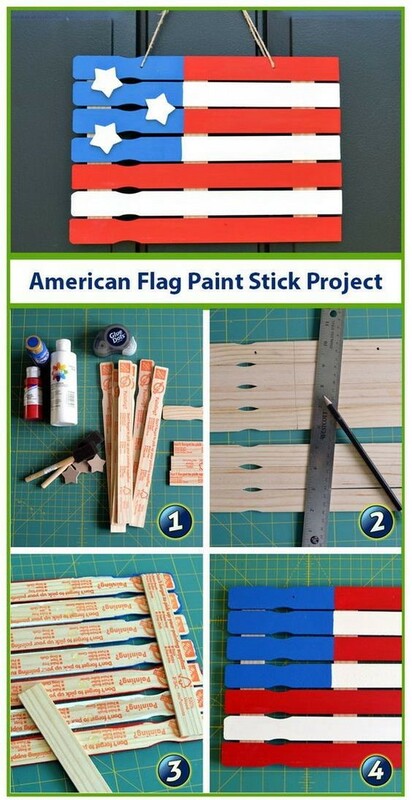 If the pallet flag is a bit too big of a project, try this mini version! Hang it as an indoor or outdoor piece or make many of them and give them to your family cemetery to hang on trees in the cemetery on Veteran’s Day. Some paint, old clothespins, and a ring cut from the bottom of canister or bucket can go a long way! This wreath for the holidays is sure to turn a few heads. Hang it on your door or a Shepard’s hook near your loved ones gravesite. If paint isn’t something you are comfortable working with and want a clean-up friendly craft, try the all so powerful paper straws! 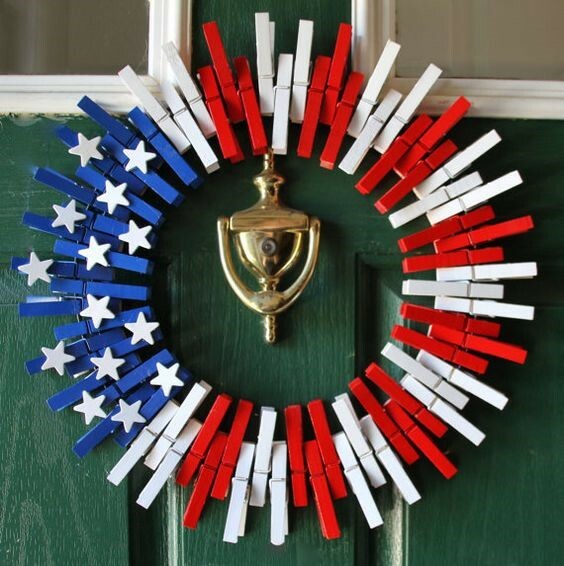 This patriotic pin wheel is a beautiful door wreath or grave decoration. 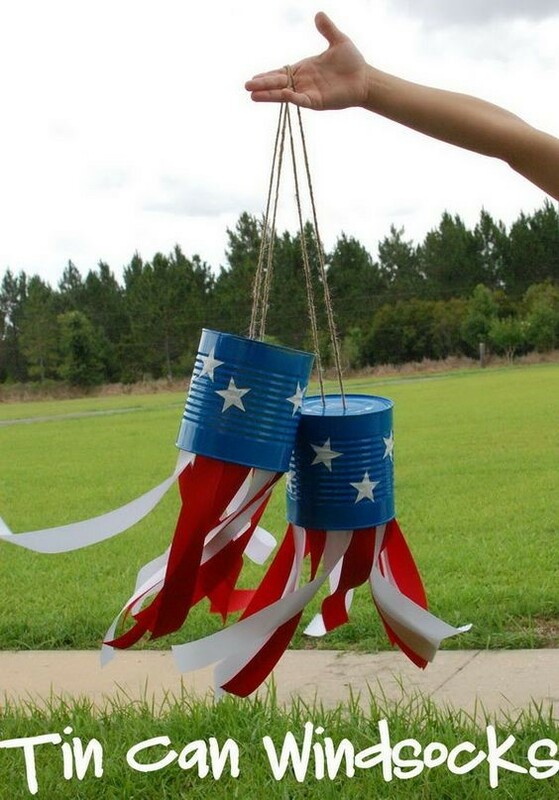 Empty cans, paint, paper strips, and some twine is all you need for this timeless piece of décor. An ode to our vets every time the wind blows! Such a beautiful piece you can hang any and everywhere. 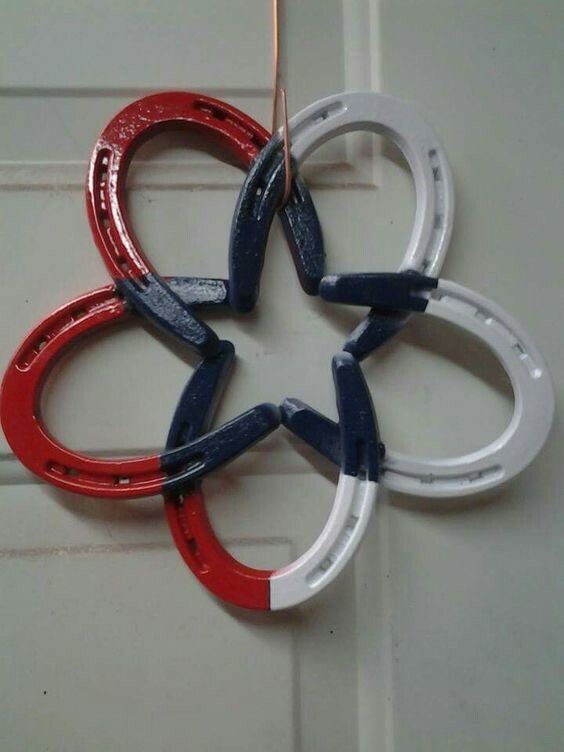 Simply hot glue 5 horse shoes into the shape of a star, let it dry overnight, and you paint or colored twine to decorate it with a patriotic flair A great piece of Americana to celebrate the men and women who have made and continue to make America proud. Paint and mod podge will never fail you. 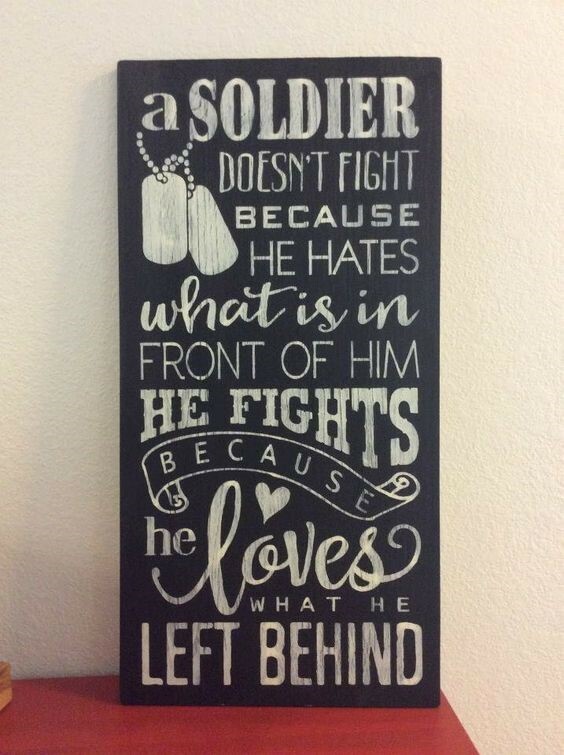 Create a beautiful collage for your military friends and family or create one for those mourning the loss of their hero. Either way, photo gifts will never lose their appeal and will always be the best connection anyone has to a memory.